Coming off of his back-to-back Major wins, I had the chance to talk with BH|Thompxson. 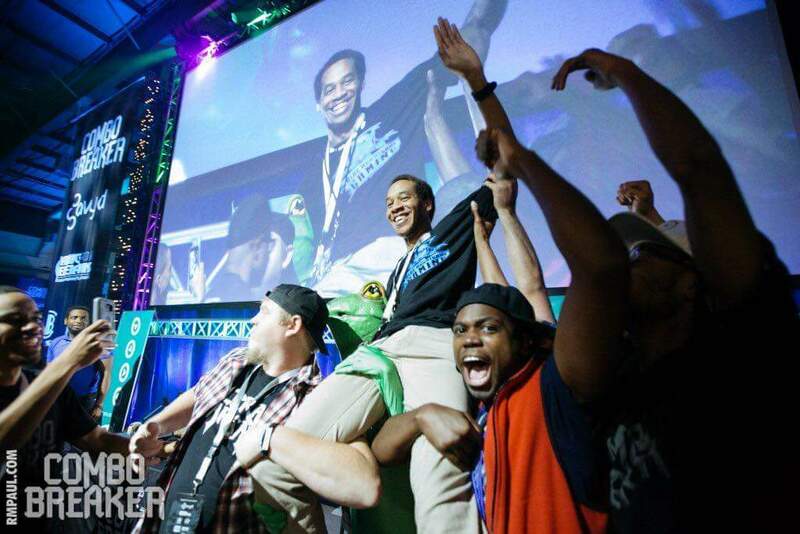 We discuss his history with Killer Instinct, how he trains, and if he’s ready to possibly take the Triple Crown by winning EVO! Hope everyone enjoys! My real name is Deion Marquise Thompson. I’m 21, and I reside close to Nashville, TN. I really love to chill, hang out, game, compete and laugh a lot. Use to be a serious percussionist highly skilled in rudimental snare drumming and chase the dream of being an instructor for younger students, but I didn’t quite find that career was suited for me. What got you into playing Killer Instinct? Were you a fan of the original before getting into the new Killer Instinct? Was there a “breakthrough” moment for you where you gained the confidence to compete at a higher level? When did that happen for you in KI? Of course! I’ve made so many breakthroughs, I use to be a hard headed scrub that would rage quit, cheat the s1 rank system and only play the game casually. I’d stay about the 10-25 rank position range. That explains how bad I use to be. I never knew there was a community, a great Jago player looked upon by all, and offline majors. I only wanted to reach rank 40 and I would be done with the game forever… but now comes s2, I met one person and that was Pink Diamond that told me about everything. Through my skills I developed during casual nonstop rank sessions, I was able to compete against her Maya and got to knew her on a personal level and we decided to train with each other a lot but that wasn’t enough for me. I had met another player named CrazySkateNate, friend of another Jago player I knew of iiEGlii ReMiix. Playing him made me realize, “wow. His Jago is on another level! I wish I could play like that” and eventually Nate and I would go back and forth in our sets and sparring. Along the way I would meet players in ranked that were very good in ranked and just always asked to play them, because I had to beat them! I just had to. I was found by cP_Jay_Legend, which was another good Jago player that saw potential in me and that’s when I met other Jago players I never heard of like Her0ofTim3, who beat me fundamentally, and thought… you know what, I want to be a great player in fundamentals too! He inspired me the most when it came to neutral game. His playstyle was very solid and looked very clean. And definitely taught me the importance of anti-airing… so training with other Jago’s coming up with tech together, then eventually I won the 8-Bit Beatdown thanks to the friends I’ve made and played against. That was breakthrough #1 for sure. Then I met people like Bass, and Sleep. Pie Daffy for example, I don’t think I’ve ever had the hugest breakthrough in my life once I beat him in a ft10 set. I believe he was the one that developed my playstyle the most, because if you know Daffy, his Glacius was no joke! And I would always LOSE! But he saw my potential and always asked me to play. I wasn’t sure if he wanted to beat me some more or test me. I hated the Glacius matchup as Jago and I doubted if there was a way to beat that character. Rimz also made me not want to play Jago anymore. I beat them both in s2. Just one time! That’s how I knew I did it and figured it out. Happiest day of my life! Breakthrough #2!! Now I’m being harassed by top players like Paul B. Some players really didn’t approve of my skills and thought I was still a horrible player while others did. I never liked that, so it made me stronger and made me want to prove that I can be the best Jago ever and be acknowledged of that by everyone! I tried in S2 real hard, and came real close to taking KiT in 2015 but got taken out by F3 Sleep, which has been a great friend of mine for a while after proving to him too that I’m a great player and not a scrub… lol even though I double DP’d a lot. Have any advice for upcoming players in KI? How do you usually prepare for a tournament? Play people that are better than you all the time! And don’t just play, ask questions. If they don’t feel like your progressing, make them feel like you’re not wasting their time. You want to show them that you’re not some sucky player, but you want to grow stronger. Even though they beat you, that should make you determined to beat them the next time you play! When you get ready to go into tournament, put some time into the online ones first. Like Kammi’s Murderwear tournament! Her tournament is real fun and will definitely put you up to skills that vary to prepare yourself for bigger tourneys! Practice makes perfect right?? And oh when you feel like you’re ready for offline tourneys… don’t be like me and just play on the TV then last minute play on a monitor the day before competition. Lol. I learned the hard way, but I have a decent monitor now! You’re considered one of the best players with Jago. What drew you to the character originally out of all the different characters in the cast? What drew me to Jago was the fact that I was waaaaay too lazy to learn another character at the time. Completing the dojo mode gave me a character to start with to beat players in S1 rank. So I sort of just threw myself to the wolves and started training my Jago up from baby dojo to grandmaster best. But I always did wanted to learn Fulgore. But every time I switched a character, my love for Jago wanted him to get stronger in every aspect of my gameplay, and I’m winning with him now, so it’s like what’s the point of switching characters if no one can stop this one, ya know? 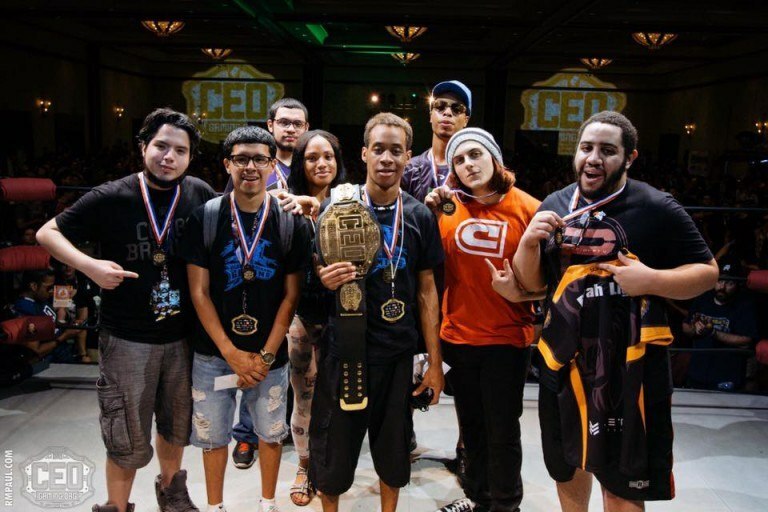 Winning one Major tournament is difficult enough, you did that first at Combo Breaker in May. Now you won CEO meaning you have won back-to-back Majors in Killer Instinct. What has that experience been like? Did you feel confident that you could win CEO coming off of winning Combo Breaker? The experience of winning a major makes me want to cry. As of right now I’m tearing up reading all I’ve been through and it’s just amazing how such a long and hard way I’ve come from. No I was not confident at all winning CEO. I only wanted to travel out because I wanted to have fun and enjoy myself in Orlando and maybe win a little money by making Top 8, and only cause my sponsor paid for me already to go. LOL love you Jmart. Speaking of him, I would like to thank him as well for providing for me and being a fantastic great friend along with my team members, Grief, Seadragon, Swordsman, and past former member Kbpcrusher. I love Blue Hurricane and will probably not go for any other sponsor, because I’m already happy here. I am definitely ready for EVO! And know for sure that it’s a possibility for me to take that tournament too. But I know it will not be easy. I know I have so many players trying to study me and know how I play. I have a big target over my head for sure. But I do adjust very well and my gameplay does not stay consistent. You can look at my matches on YouTube and I promise you, I will not play the same. Proof I adjust is a few of my recent matches against examples like Nicky at Combo Breaker and Sleep at CEO. They both defeated me in a set, but I come back knowing what I need to do next time. So if there’s any players watching how I play reading this, know that I WILL adjust before you can take me out. That comes from playing ranked all the time for sure. Scrubby players to great players to average Joes. Adjusting is one of my great skills in competing. If you take me out, then I definitely got outplayed and lost to a greater mindset. Which is enjoyable for me and super awesome for you! I have not been salty about losing in a while. I’ll smile and shake it off. Who would you like to see as the 8th Character in Season 3? For the 8th character, I would like it to be someone original. I don’t really care what it is at this point. Any character the development team comes up with, I’m pretty sure it’ll be an interesting character! Anything else you’d like to tell your fans or give thanks to anyone? And there you have it! Do you think that Thompxson has a chance to take EVO? Will someone else rise to the occasion and win? Or win Rico reclaim his EVO Championship and take it two years in a row?